A Basset Hound is certainly not the ideal dog for everyone. They are extremely friendly to everyone and rarely meet a stranger. This makes them a poor choice for a guard dog. For a handful of treats, they will lead a burglar to your Grandmother’s silverware. If you have the patience, they can be trained and do quite well in conformation, obedience, tracking, field trialing and pack hunting. However, they are considered slow learners and if they decide what you want them to do is not in their best interest; forget about it. This is especially true in reacting to the command “come.” They can hear you peel a banana when they are sound asleep, however if they are on a scent trail or in a barking frenzy no amount of calling will divert their attention. A Basset should never be allowed to roam free. A fenced yard or a leash is an absolute must have to ensure the safety of your dog. Of course, hunting or field trials would be an exception. for long periods, they won’t be happy. When they aren’t happy, everyone will know about it. Their deep voice can turn into a mournful howl, which is very loud. Having another dog to keep them company can alleviate this problem. Still, they enjoy being with their human. If you are looking for a low maintenance dog, a Basset Hound won’t take an extensive amount of grooming. They need a lot of brushing, because they are major shedders. Ear cleaning is at minimum a weekly routine. Bentley gets a bath usually once a week. They tend to get a hound dog smell that can be unpleasant. I wipe Bentley’s armpits and face with a disposable wipe between baths. *K9 Kelp shampoo has been an incredible help in completely eliminating any odor. Most dogs with sagging jowls will drool. Bassets are no exception. Whenever we go out in public where he will be meeting people, I bring a “drool rag.” My Golden Retriever was also a "drooler,” so I’m used to tucking a rag in my pocket. This is not something that grosses me out at all. If you are bothered by it, do not get a Basset. Does snoring drive you crazy? You can see many YouTube videos of Bassets snoring. They are notorious for it and can get very loud. Bentley’s bed is next to ours and he can fall asleep in less than one minute. We can hear a slight snore almost immediately. After a couple of minutes, it sounds like our boy needs a Cpap mask! Fortunately, we think it’s hilarious and lie there laughing until he changes position and stops. Basset Hounds have begging down to a fine art. If you are eating something, they feel certain that you should share it with them. We usually have carrots or a dog treat broken into smaller pieces to give Bentley as a trade-off, but we aren’t fooling him. I can honestly say that lettuce is the one thing he doesn’t eat. His very favorite things to eat are almonds. I know that he shouldn’t eat them very often, so we have had to quit buying them for ourselves. You can’t sneak a single nut without him running into the kitchen. In fact, a bag of almonds is about the only thing I can show him that will get him inside if he is having a bark-a-thon. Watch this quick clip of him enjoying his almond. Several articles mention that Bassets can be flatulent. Bentley doesn’t really have this problem. He has been known to let one rip when he is climbing on the couch. I have had dogs before that will clear a room with a silent fart, and then act as if it wasn’t them! This is not the case with him, but apparently, it can be a problem with some. If you can deal with these characteristics, a Basset Hound could be a wonderful addition to your family. Be sure that you do your research. Find a reputable breeder or rescue organization. Make sure that your home is puppy/dog proof. If you decide a Basset is perfect fit, you’ll find yourself head over heels in love with one of the sweetest, cutest, friendliest, and easiest going dog around. I hope that you have enjoyed my Basset Hounds 101 series! Thank you for following along. If you missed the previous Basset Hounds 101, you can read them today. Basset Hounds 101 ~ Part 1 is a history of the breed. Click here. Basset Hounds 101 ~ Part 2 covers the breed standard. Click here. Basset Hounds 101 ~ Part 3 discusses their wonderful temperament. Click here. 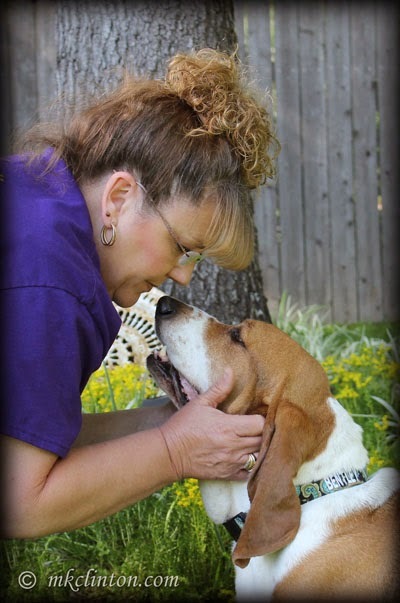 Basset Hounds 101 ~ Part 4 Basset Hound illnesses and diseases. Click here. Reilly and Denny from The Cowspot Dogs! I appreciate everyone who entered and another giveaway will be starting soon! Oh Bentley sounds like such a great dog. I have always wanted a Basset myself but have always had Australian Shepherds so just never got to the Bassets. Also I used to run a horse business and my dogs were loose all the time, mainly with me but I did have a beagle at one time and it did go off and didn't come back. I would think a basset would really have to have a fenced in yard just in case a rabbit went by. I did go on a hunt one time with a pack of bassets. They are hysterical. Anyway, great post. So glad to meet you. You are a wonderful boy, Bentley. We have a lot of similar traits, but lots of different ones as well. Happy Monday! We did not realise they don't make good guard dogs and that they stubborn about learning things they are not interested in. Very interesting. Have a marvellous Monday. That was a very complete course in Basset Houndery...the good, the bad, and the stubborn and drooling. Basset Hounds sound a lot like huskies!!!!! A LOT!!! This was such a great series. It would be awesome if everyone that was passionate about a certain breed would do something like this. Maybe I'll make one for Pyrs? So many people get a breed based on looks or one other dog that they have met and then are surprised that the dog is not what they expected. Loved this! This was an excellent postings on Basset Hounds and would help anyone if they were looking to have one become a member of their family. Excellent information for someone looking at a Basset!! Off leash . . . water . . . wrestling . . . tug-of-war . . . you my furiend have found heaven on earth! This was a great series, I really enjoyed it. Nothing you said scared me away from the breed, partly because some things I'm used to after having beagles (the big reason we fenced in our yard). The only thing that gives me pause is the drooling....LOL....but our golden Moses drooled quite a bit and I was able to deal with it! I'm glad for you that you were finally able to get the dog you really wanted, and Bentley is such a great companion for you! Another great part, I keep thinking you are done and you amaze me with another part which is great, you are giving out such great information. Cute video! As for missing Mia, Mia is my niece and her boyfriends new lab puppy, she is 4 months old now, she is such a cutie I have to post up pictures of her. Have a great night. We have a friend with three Bassets, and while I think they're really cute, they're not quite for me. But I have really enjoyed reading your posts about them! High Fives to Bentley the magnificent! Very informative-- too many people do not research a breed before getting a puppy... This really helps understand a Basset!